Prescriptions of psychotropic medications have become an important intervention for many children and adolescents with mental disorders, and the rise of these prescriptions is debated intensively both among experts and the public. This review reports some recent international findings on point prevalence rates, cross-country comparisons, and time trends in psychotropic medication prescriptions for children and adolescents. Besides the total prescription rates, figures for antidepressants, antipsychotics, stimulants, and anxiolytics prescriptions are provided. The overall prescription rates of psychotropics in general and the major medication subgroups prescribed to children and adolescents vary substantially between countries with the US consumption being markedly higher than the use in European countries. However, even among the latter there are marked variations in findings. Studies reporting on time trends clearly indicate that there was a marked increase in the use of psychotropics for children and adolescents in the recent past. However, only a single study adjusted prevalence rates for the increasing number of children and adolescents assessed and treated in institutions providing mental health care. 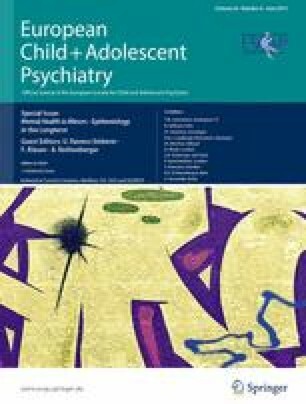 Considering the increasing numbers of children and adolescents seen in psychiatric services, the increase of psychotropic medications is less strong though still pronounced enough to stimulate further reflections on the use of these interventions. H.-C. Steinhausen has worked in the past as an advisor and speaker for the following pharmaceutical companies: Janssen-Cilag, Eli Lilly, Novartis, Medice, Shire, and UCB. More than three years ago, he has also received unrestricted grants for postgraduate training courses or conferences and research by Janssen-Cilag, Eli Lilly, Novartis, Medice, and Swedish Orphan International.